Thank you to all our attendees and sponsors for joining us! There are several parking lots or garages in the immediate area. Buses: M1, M5, or M6 to Waverly Place. the current global political, cultural, and interpersonal crises we face. Distinguished speakers expand our view of the possible in a time of conflict, inspiring clinical and societal engagement in making positive change. How is the culture of calamity impacting clinical practice? Struggling in the same political and world environment both patients, and the therapists who hear of their dread, are reported to have chronically elevated stress reactions that can negatively impinge on every aspect of life. It sometimes feels as though all the rules have been thrown out and a new set of indecipherable ones have been imposed. Things that were known to be socially and interpersonally unacceptable are now broadcast with impunity. In this sea of chaos it is hard to know friend from enemy, to feel free to talk, or to believe in a stable future. 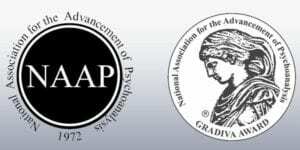 NAAP’s distinguished speakers will address these issues and demonstrate through clinical vignettes the ways in which therapeutic practice has been impacted, as well as approaches to mitigating stress responses and remaining centered. They will discuss the psychodynamics of narcissistic sociopathy, how groups led by these personality types have fared historically, and how we might react positively and manage to remain healthy and self-directing. The prestigious Gradiva Awards, celebrating outstanding contributions to creativity and exploration of the human experience, will be presented at a delicious luncheon buffet. New this year are the NAAP Analyst-in-Training Awards for Student Writing. The awards will be presented and papers briefly described. Conference attendees will be emailed a link to the papers which will be found on the NAAP website. The much sought after Gradiva Awards®, celebrating outstanding contributions to creativity and exploration of the human experience, will be presented at a delicious luncheon buffet. 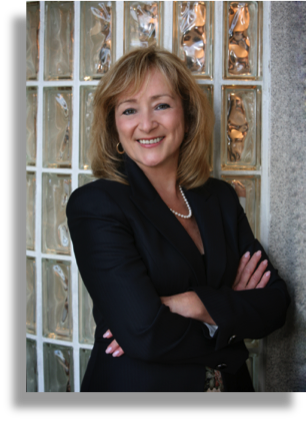 For questions contact Lori Feigenbaum, 973-629-1002. 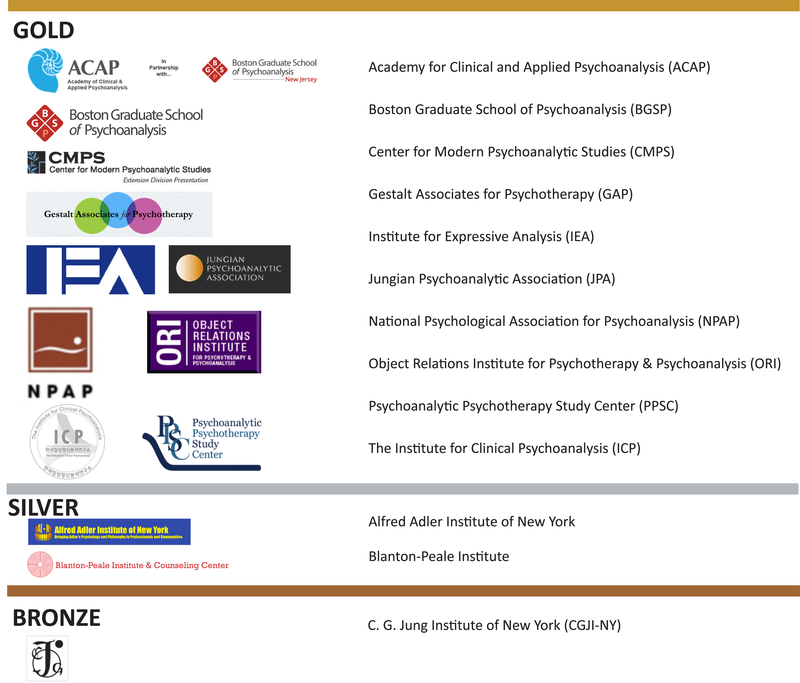 6.5 CE hours for full conference attendance for NY Licensed Psychoanalysts and Social Workers. A Certificate of Attendance is available for all others. Please check your profession’s State CE regulations regarding approval of out of state events. See full brochure for NY & NJ approval details. NJ licensed Social Workers are eligible for CE hours according to: http://www.njconsumeraffairs.gov/regulations/Chapter-44G-State-Board-of-Social-Work-Examiners. CANCELLATION POLICY: Please be advised that registrations are non-refundable. Call or write to enquire about CEs for your profession.